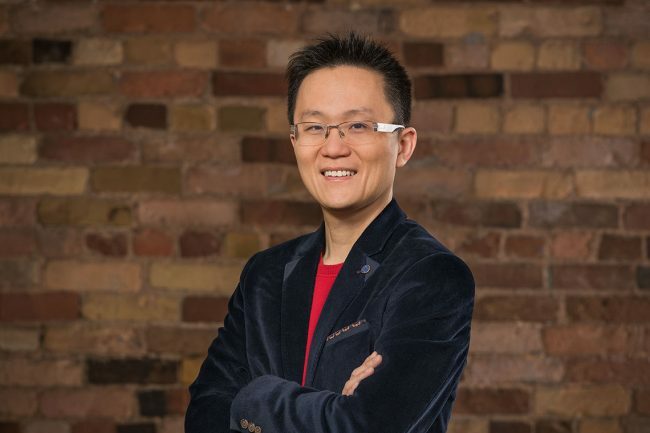 When Allen Lau (ElecE 9T1, ECE MASc 9T2) and Ivan Yuen founded Wattpad back in 2006, the two University of Toronto alumni were focused on building an e-reader app for the Motorola Razr flip phone and its competitors. But it wasn’t long before Lau, the startup’s CEO, spotted a much bigger opportunity. Fast-forward more than a decade and Wattpad has become a content “factory” that boasts more than 70 million monthly users. Like YouTube for the written word, users post, share and read user-generated stories on the site, which boasts more than half a billion uploads to date. Increasingly, Wattpad is also using its platform – and specifically the billions of data points gleaned from it – to help book publishers, movie studios and TV networks find and develop original content. It even launched its own book publishing imprint earlier this year. One of the biggest success stories to date is Anna Todd, who started writing on Wattpad a fan fiction series and ended up with a six-figure publishing deal. 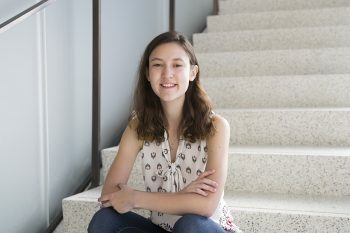 Another author, Beth Reekles, was just 15 when she wrote a Wattpad story that led to a book deal and a Netflix adaptation called The Kissing Booth. What makes Wattpad unique among Canadian startups isn’t just the way its disrupting the entertainment industry, but the fact that its taking a uniquely global approach. In just the past two months, for example, Wattpad announced a content adaptation deal in Korea and another aimed at growing the company’s presence in India. 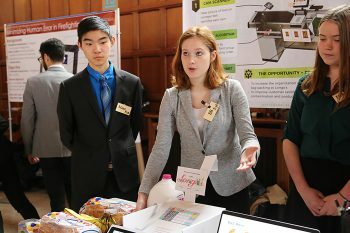 “A lot of Internet companies tend to focus on the U.S. market from the get-go, but even the U.S. market, while very important and very lucrative, is relatively small considering there are seven billion people on the planet,” says Lau, who has two engineering degrees from U of T and is an associate at the Creative Destruction Lab, one of the university’s nine entrepreneurship hubs. As the university celebrates Entrepreneurship Week this week, U of T News caught up with Lau to find out more about how he is building a global success story, and what aspiring fellow U of T entrepreneurs can learn from his experience. Why did you decide to found Wattpad back in 2006? Just for context: In 2006, the most popular phone was the [Motorola] Razr or Nokia phones. The iPhone hadn’t even been announced yet, let alone on the market. But my co-founder Ivan Yuen and I started thinking about two things: More people will be spending time looking at the screen and reading; and the second theme was that people would be increasingly comfortable sharing their content on the internet. Of course, these two things are commonplace today, but back in 2006 mobile reading was very nascent and so was sharing on the internet. Remember, Facebook only had about 50 million users and YouTube was just one year old. So the idea of pushing a button and sharing with billions of people on the internet was still a very foreign concept. We struggled for the first couple of years. But the company really started to take off around 2009 – that’s when the iPhone and the App Store launched. Suddenly all the stars started to align and we had a first mover advantage. So, clearly, we saw something in 2006 that most people did not see. When did you first realize the potential power of the platform that you created? It’s a funny story. In 2008 and 2009, one of my favourite pastimes was to walk through the social graph on Wattpad to see who is following whom, and to see who the new writers were and who were their fans. But there was one evening where I spent hours and I couldn’t get to the end. That’s when I realized this thing is going to be really big. Then, I looked at the dashboard and saw people commenting and something interesting jumped out. People were saying “This story is so great, it’s changed my life,” and writers would respond by saying “Thank you, this has changed my life, too.” That’s when I fully realized the power of the community. So, yeah, Wattpad has a lot of content, and people creating and consuming the content, but the most powerful aspect of Wattpad, in addition to the content, is the connections – the community. It’s almost like watching a movie with a dozen people at the same time, except on Wattpad it’s a thousand or even a million people reading the same story at the same time. When did you recognize that you had something that might be of interest to other media like TV studios and Netflix? The first project we worked on related to TV shows and movies was a show called Wattpad Presents. In 2014, we worked with TV 5, one of the largest TV networks in the Philippines. That started off as an experiment, but before we knew it we did six seasons with them and over 200 episodes. It became one of the most popular TV shows in the Philippines and gave us the validation we needed. That’s how and why we created Wattpad Studios about three years ago. How, exactly, does Wattpad Studios work? It’s very simple. With our community, we can look at all the data – first and foremost, the size of the audience for a story. We know what’s popular and what’s not. We collect a few billion data points every day and there’s lots of interesting patterns that we can see from the data. We not only know how many people are commenting on stories, but how quickly they comment and how often they come back to read the next chapter. All of those signals indicate how engaging a story is. Based on all that data, we know which ones can potentially be adapted to movies and TV shows. Next, we take the stories that have potential and work with entertainment companies. That started in the Philippines, but soon it also included NBC Universal, Sony TV, Hulu and quite a few others in North America, Europe and Asia. We’re also very involved in the adaptation process. We can tell the screenwriters when they’re adapting, say, a 100-chapter story into a movie script, which is about 90 to 100 pages, how to cut out a lot of the content. I mean, how would screenwriters know what to cut and what to keep? Based on our data and insight, we can tell the screenwriters to keep chapters one, five and seven, but only the first two paragraphs of chapter 7 because we know those two paragraphs generated the most comments in the entire story, and the comments themselves are very emotional. We can also tell them that, after looking at thousands of comments, we can cut out the second male character because nobody cares about him. This is how we can make the adaptation process really awesome. Finally, when the movie or TV show is released, we can market the visual content to our users who are already on our platform, who already love the story. That completes the cycle. What’s been the reception of the entertainment industry to your approach? Most startups tend to focus on familiar markets before moving further afield. But you basically took the opposite approach. What’s your thinking on this? The approach of Wattpad was very unconventional from a business perspective. A lot of internet companies tend to focus on the U.S. market from the get-go, but even the U.S. market, while very important and very lucrative, is relatively small considering there are seven billion people on the planet. So it makes a lot of sense to focus on global first. I think, as a country, we have to change our mindset about that. That doesn’t mean we ignore the local market. But focusing more internationally can help us capture both. How, in your view, is Toronto positioned to create more success stories like Wattpad? We have a very good technical system already. Increasingly, we’re seeing a lot of repeat entrepreneurs like myself giving back to the ecosystem. Our universities – U of T and others in the province and country – are pumping out hundreds if not thousands of amazing engineers and people in fields like science, medicine and business. So the talent is there. And the capital is also there. More venture capital is also available. And there’s more accelerators. Also, diversity and inclusion is very strong in Canada. So we have all the elements to build amazing, massive companies with escape velocity – we just need to take advantage of that. What advice do you give aspiring entrepreneurs who want to replicate your success in other industries? I’m an associate at [U of T’s] Creative Destruction Lab. So I go there to mentor the startup companies – many of which are still just a science project. Through the nine-month program, we turn many of them into commercially viable companies. That, to me, is very exciting. There are very few companies in Canada who, like Wattpad, have grown a company from the first user to pretty close to nine figures. You can count them on two hands. The mindset of building that kind of company is very different. You have to have a global mindset. You have to tackle different languages and cultures very early on. And the scale we’re talking about is very different. 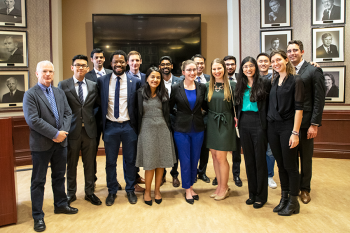 So it’s a privilege for me to go back to U of T to help out entrepreneurs in the CDL program to turn their companies into a potential financial success. I think I bring a unique perspective to the table. Where do you ultimately see Wattpad going – how big could this get? We’re focused on building an amazing and independent company. It’s actually quite rare to see an internet company at this scale, from this country. There’s a handful, but definitely not in the hundreds. So I’m very excited to take the company to the next level. We’re disrupting the entertainment and publishing industry by doing things that are very unique and very different.